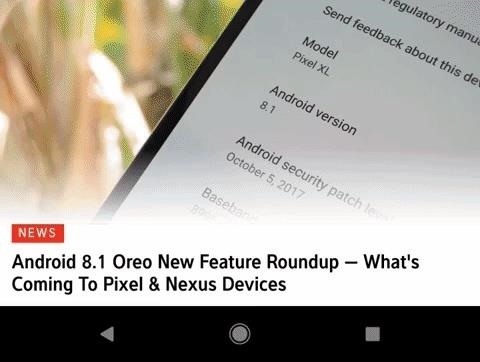 Google just released the second developer preview of the Android 8.1 update for Nexus and Pixel devices, and even though it's just a point-one release, there are lots of cool changes. Before you run off to join the Android beta program and try the new version, it's worth reading up on what's new. 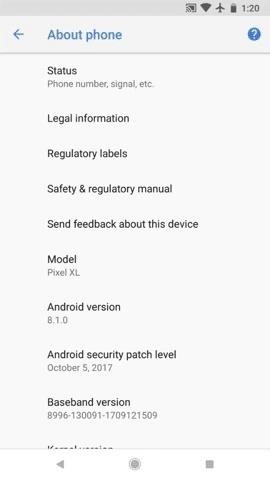 The first developer preview came and went, and DP2 is the last beta release before the final public version of Android 8.1 Oreo starts hitting all devices in December. So far, we've found several interesting changes like a new power menu and an actual Oreo Easter egg, but we'll keep updating this post with any new features we find as we continue to dig into the latest Oreo release. One of the nicer touches with the Pixel 2's firmware is a power menu that animates out from the physical power button when you long-press it. 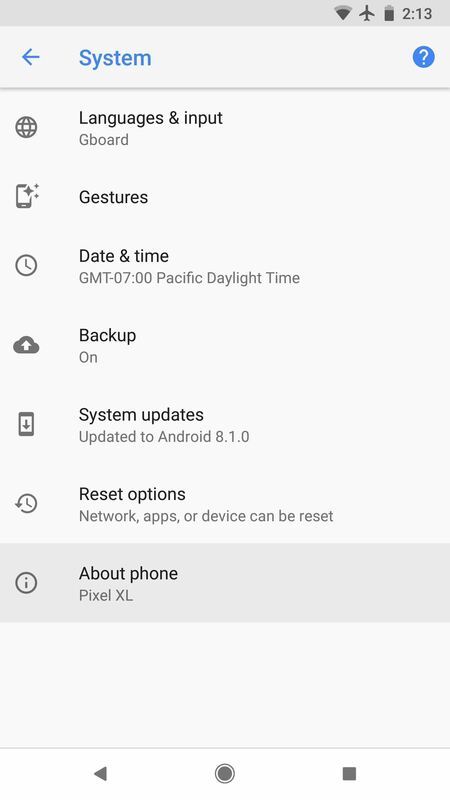 It's a lot smaller than the old Power Off/Restart dialog box, and we're happy to report that it's now present on older Google devices like the Nexus 6P and the first-gen Pixels. Back in the Android O developer preview days, Google added octopus Easter egg that appears when you spam-tap the "Android version" entry in Settings –> System –> About phone, then tap and long-press an "O" logo. The octopus animation's still around, but that generic "O" has finally been changed to an Oreo cookie in Android 8.1 to fit the official code name. 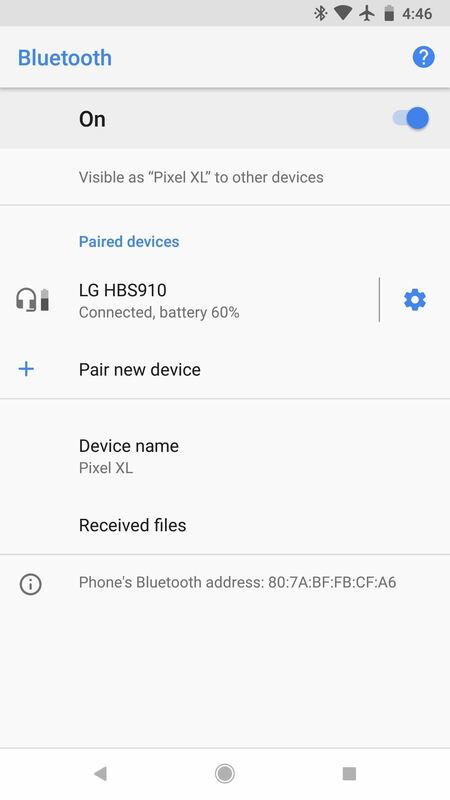 Another Pixel 2-exclusive feature has been brought to Google's older devices, and this one's a lot more noticeable than the subtle power menu tweak. When you set a black wallpaper using the default launcher, your Quick Settings menu will automatically change to a darker color. 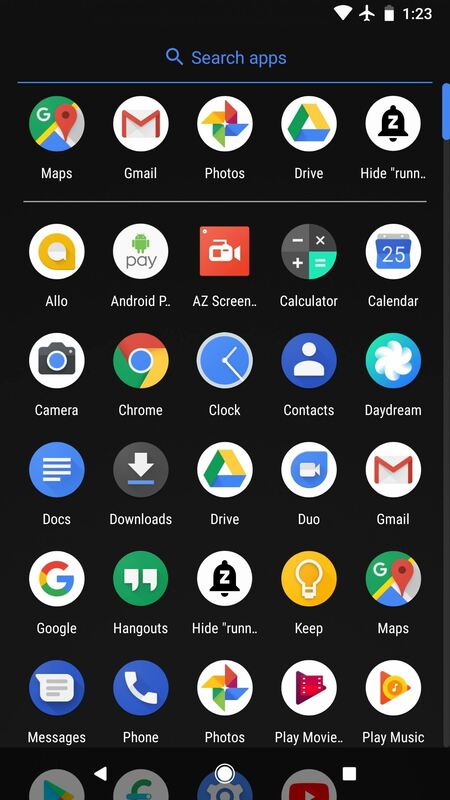 Same goes for the app drawer background in the Pixel Launcher, so you no longer have to shock your eyes at night with those bright white backgrounds just to open an app or turn off Bluetooth. 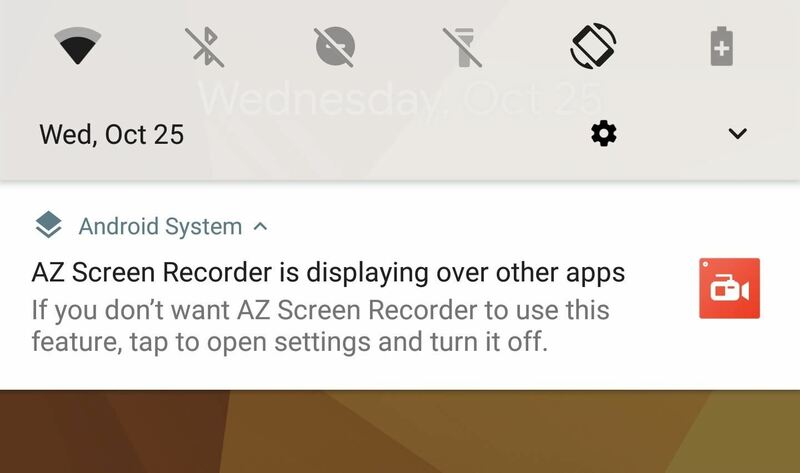 Android 8.0 introduced two new notifications that, strangely, couldn't be dismissed. One appeared any time that one or more of your apps was running in the background, and the other showed up when you had an app that can draw over other apps. Neither of these notifications could be dismissed without some hackery. One of those pesky non-dismissable notifications that you can now hide in Android 8.1. 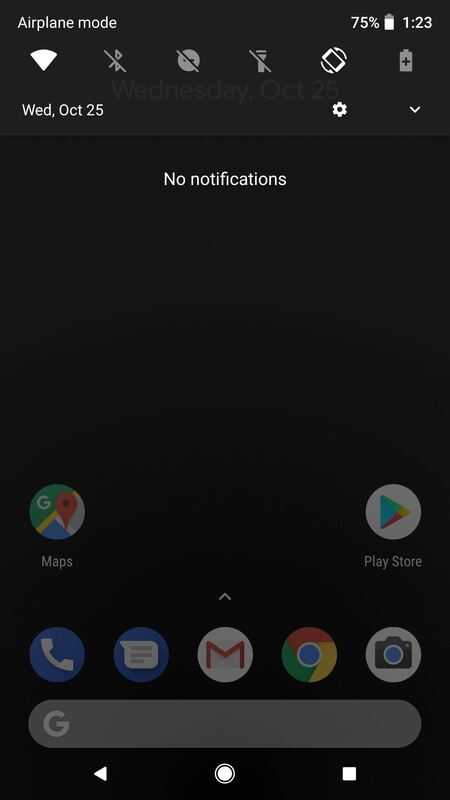 For years now, when you pull down your notification shade, Android has darkened the portions of the screen that are not covered by the Quick Settings menu or the notifications. This helps put the focus on the overlay menu itself, and the effect is still present in Android 8.1, but a pop of color has been added. The darkening effect pulls accent colors from your home screen wallpaper now, but it's subtle. You wouldn't notice if you were just looking at notifications while on your home screen, but if you bring up a white menu like the Google Now page or your app drawer before pulling down the notification shade, it becomes apparent. 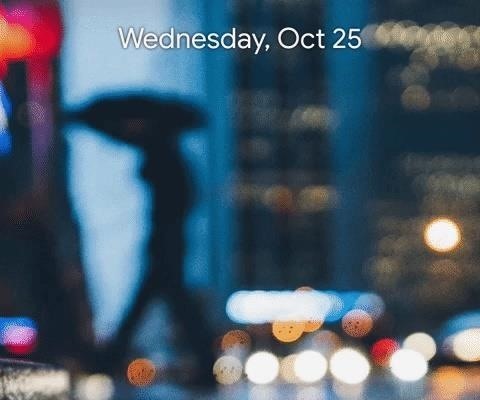 This effect is only visible while you're on your lock screen or your home screen, so it's not present while you're using other apps. The darkening effect with a blue wallpaper (1), pink wallpaper (2), and green wallpaper (3) applied. 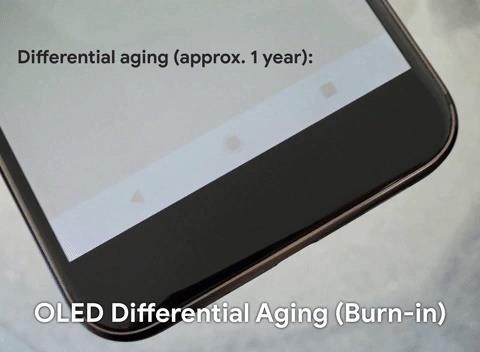 In an apparent move to help resolve burn-in issues with the Pixel 2 XL's POLED screen (or is it screen retention? ), Google has made the on-screen navigation buttons dimmable. When you move from one app to another, the buttons are as opaque as they'd normally be — but after a few seconds in the new app, they fade to semi-transparent. Another anti-screen retention and anti-burn-in measure is evident in the Settings menu — the navigation bar now has a white background instead of the regular black. This is because "burnt-in" buttons aren't actually the problem. All pixels in OLED screens decay with normal use, but pixels that are always black, like the ones in the bottom nav bar, don't decay as fast as the rest of the screen. In other words, even though the buttons stand out as evidence of burn-in, it's the "fresher" pixels normally occupied by the navigation bar's background that make burn-in noticeable. If you have any Bluetooth accessories that support the Hands-Free or GATT profiles (typically Bluetooth 4.0 LE or higher), you'll now see how much battery life your accessory has left. 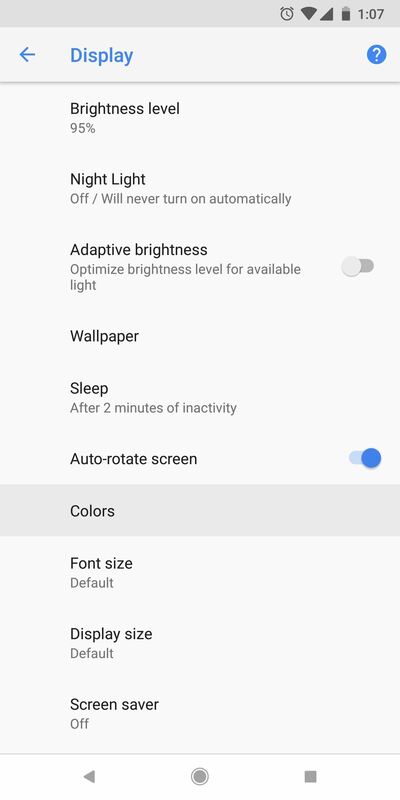 Anytime a supported device is connected, Android 8.1 will display its battery life in the Quick Settings menu as well as the full Bluetooth menu. This is something iOS and various OEM-skinned versions of Android have had for quite some time, but it's nice to see the feature being added to stock Android. Keeping with the theme of interface polish, Google has made toast messages in Android 8.1 look a lot cleaner. Instead of the semi-transparent rounded gray backgrounds that made their debut back in the Lollipop days, toast messages are now almost white with black text. It's a simple change, but it looks much better. 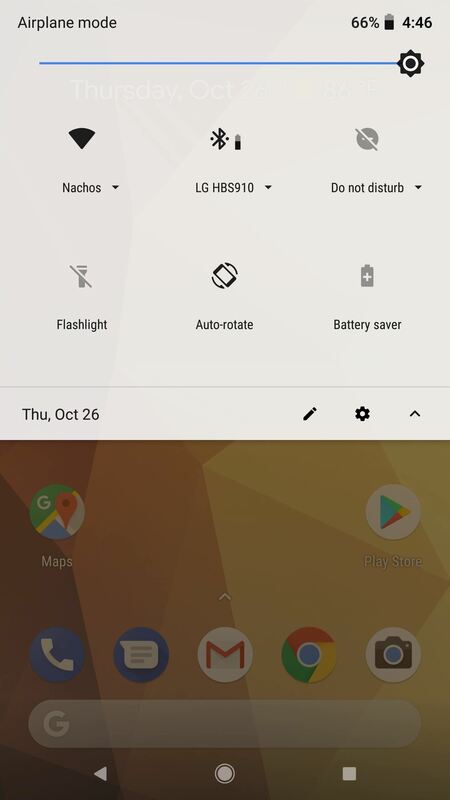 Credit to Android Police for finding this subtle gem: The status bar icons in Android 8.1 now have rounded corners. It's a subtle refinement touch, but perhaps more noticeable is the fact that both the status bar indicators on the right and the notification icons on the left have been pushed inward a tiny bit to accommodate rounded display corners — even on phones with square corners. This change isn't specific to Android 8.1, but it's a new addition in the second developer preview build Google just launched in late November. As we know, the Pixel 2 XL's POLED display has a few issues, and perhaps the most visible problem has been drab colors and a cool white point. 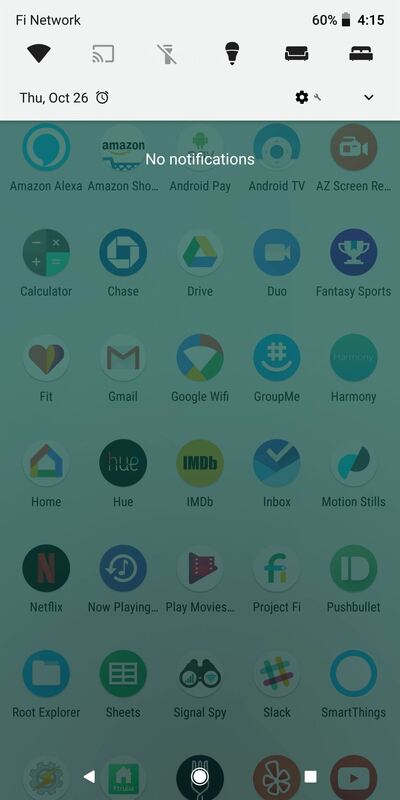 These issues have been fixed in Android 8.1 with the addition of a new color profile. 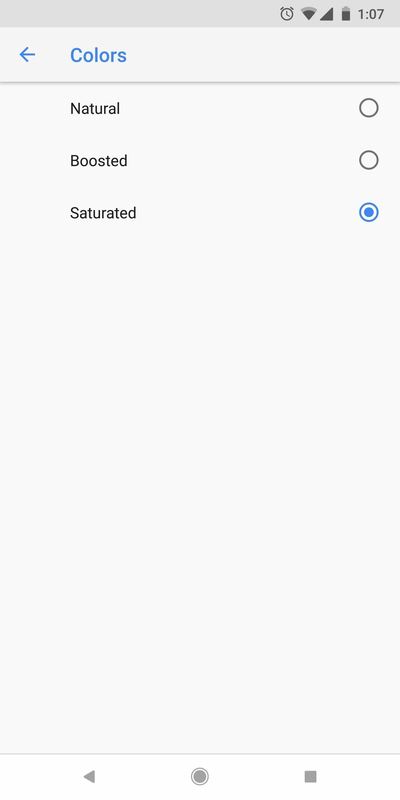 In Settings –> Display –> Advanced –> Colors, you'll find a new "Saturated" color profile that makes the Pixel 2 XL's display much more vivid. Aside from giving colors a boost in saturation, this option also warms up the screen's white point. To the naked eye, it appears as though whites drop from roughly 6,000 K down to a more realistic 4,500 K.
Personally, this is the most exciting change in 8.1 for me. The Pixel 2 XL always looked way too "cool" for my tastes, but now, the colors are almost identical to the first-gen Pixel XL. Google's changelog for the first developer preview of Android 8.1 included quite a few bugs, but these all appear to have been squashed in the second developer preview. DP2 is also CTS certified, meaning the build passes SafetyNet. From the looks of things, there's not much left for Google to work on before releasing the stable version of 8.1 in the coming weeks. It should also be noted that Pixel Visual Core, the dedicated Google-made image signal processor in Pixel 2 devices, is now enabled on the software side for developers of third-party apps. This won't have any impact on the stock camera app experience, nor will it be a huge change in the short term. Eventually, though, some third-party camera apps might get a little better on the Pixel 2 and Pixel 2 XL because of it. If you're fine with the above-listed bugs and you just can't wait until December to try Android 8.1, the easiest way to get the new release is to join the Android beta program. Shortly after you've enrolled your eligible device, you'll receive an OTA update that will automatically install Android 8.1. Since all Nexus 5X's should have updates expired after Sept. 2017, what are the chances we would see 8.1 in December? I was surprised to see it listed.